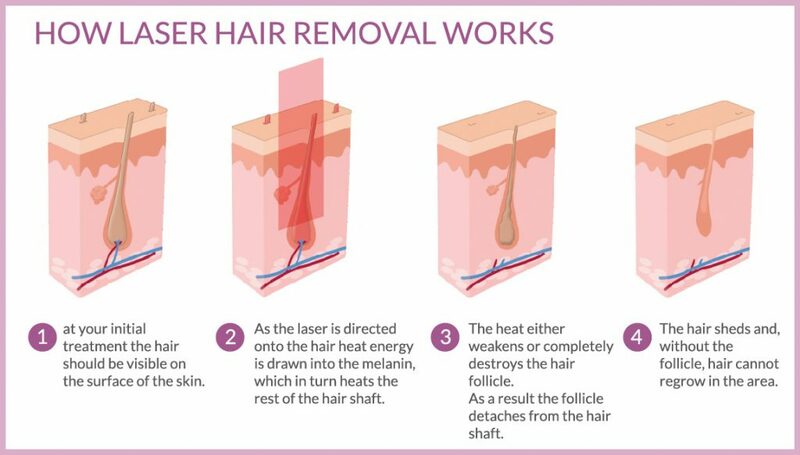 Laser hair removal is an effective hair removal treatment for men and women that can offer permanent hair reduction whilst maintaining the normal appearance of your skin and providing protection against common problems i.e. ingrown hairs. Our extensive experience in this area enables us to confidently offer effective laser hair removal for people of all skin types, including Asian, Afro-Caribbean and dark skin tones. We use the latest Apogee Elite Alexandrite and Nd:YAG lasers, which are widely viewed as the Gold Standard of laser treatments. We only use lasers that are approved for permanent hair reduction by the United States Federal Drug Administration. Ingrown hairs are hairs that have curled round and grown back into your skin instead of rising up from it. 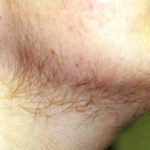 Sometimes this can be caused by dead skin clogging the hair follicle and making the hair grow around it. Sometimes ingrown hairs occur when naturally curly hair is cut too short. Most often, we see individuals who have ingrown hairs from a result of ‘aggressive’ hair removal methods i.e. waxing. If you suffer from them you will be aware that they can be unsightly, uncomfortable and even prone to infection. As laser hair removal destroys the hair follicles, most people experience relief from ingrown hairs after just one treatment, although we recommend a course of treatment to ensure that the problem is completely resolved. 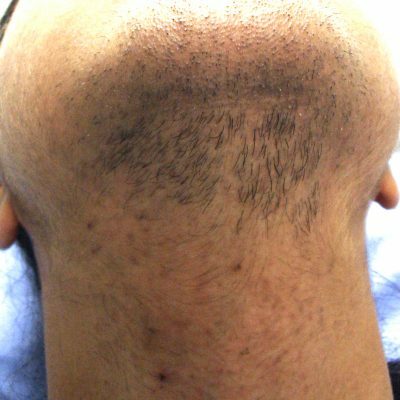 Can you treat Pseudo Folliculitis Barbae (commonly known as ‘beard bumps’)? If you have dark skin and curly hair, you could be especially prone to beard bumps (also known as ‘shaving bumps’). 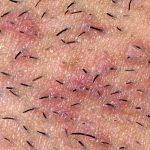 This is because, as the hair follicles grow out of your skin, they sometimes immediately curl and re-enter the skin, which then reacts as though the hair is a foreign object and becomes inflamed and irritated, creating unsightly bumps. 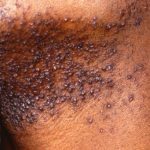 Typically, you may have been offered topical steroid treatments or have been advised to pluck each ingrown hair after shaving. Though, the latter option is painful and time-consuming. The LYRA laser provides long-lasting effective relief from beard bumps. It is the only laser FDA clear for all skin types, which means that it can be safely and effectively used, even if you have a dark skin tone. 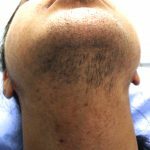 What is Hirsutism (excessive hair growth)? 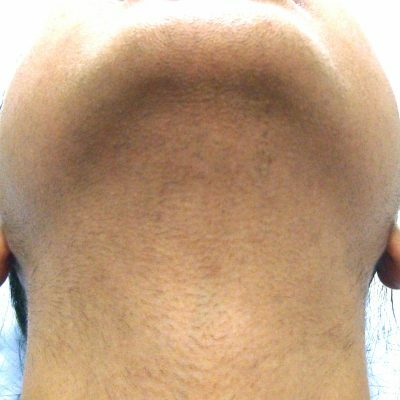 Hirsutism can be very distressing and relates to excessive hair growth in women. It is usually caused by an increased level of androgens, male hormones such as testosterone, and is increasingly associated with high circulating levels of insulin. The medical term for excessive hair growth that affects both men and women is hypertrichosis. If you have excessive hair growth, we understand that it can be particularly damaging to your self-esteem and may be impacting your quality of life. However, laser hair removal has been shown to deliver potentially life-changing results by significantly reducing hair growth. Polycystic Ovary Syndrome (PCOS) is one of the most common causes of hirsutism in women. While laser treatment cannot treat the PCOS itself, it can dramatically reduce the hair growth you are experiencing, providing safe and effective long-lasting results. Can you treat Pilonidal Sinus (often caused by ingrown hairs)? If you have a pilonidal cyst or sinus at the bottom of your tailbone (coccyx), it can become pus-filled and infected turning it into a pilonidal abscess. Although pilonidal cysts can be congenital, it is thought that most are caused by ingrown hairs – in fact, ‘pilonidal’ means ‘nests of hair’. 4 out of every 5 cases of pilonidal cysts develop in men, typically between the ages of 18 and 25. We can use lasers to destroy the ingrown hair follicles. In many cases, this is the most reliable way to prevent the problem recurring at a later date. Irregular periods, weight gain, pelvic pain, thinning hair, Acne, skin tags, reduced fertility and Hirsutism (excessive hair growth) which can occur on the face, neck, abdomen, breast, back, arms and legs. What effective treatments do you have for the side effects of PCOS? At The Chiltern Medical Clinic we meet a lot of women whose confidence has been badly damaged by the side effects of PCOS and we’re in a great position to help. We have successfully treated thousands of women with acne and excessive hair growth on the face and body. Our laser hair removal uses FDA-approved technology which is extremely effective in permanently reducing or removing unwanted hair. Most of our patients need between 4 and 8 sessions but start seeing results from the very 1st treatment. We know that acne and acne scarring can be really distressing too, and our range of acne solutions and skin peels are exceedingly effective. Our years of experience in laser hair removal verify that you can rely on The Chiltern Medical Clinic to assist you with a tailored treatment programme for excessive hair growth. We offer a free consultation with qualified therapists, as well as a thorough after-care service to ensure that your experience is positive throughout your entire journey. We are proud to say that we have a high volume of doctors and the NHS making referrals to The Chiltern Medical Clinic. What areas of the body can you treat? Traditional hair removal methods such as shaving, waxing, electrolysis and depilation tend to be very short term and can cause problems. 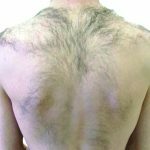 Waxing, for example, is often associated with in-growing hairs, which can be painful, unsightly and even become infected. If you have excessive or very dark hair, we understand that it can have an impact on your confidence and may occupy a lot of your thoughts and time. In our experience, laser hair removal is the best solution because it offers effective results while maintaining the normal appearance of the skin. We use the Apogee Elite Alexandrite and Nd:YAG lasers for laser hair removal. These lasers are classified as the Gold Standard of laser technology currently available for hair removal, offering outstanding results with the widest range of skin tones and hair colours. What is the patient journey in the clinic? Consultation: Your laser hair removal journey starts with a free consultation with one of our experienced therapists. You will complete a medical history. Photos of areas to be treated: Photos help to follow the evolution of the treatment with precision. Diagnosis and establishing a treatment protocol: Our therapist will explain the protocol and expected results to the patient, as well as precautions to be taken to avoid undesired side effects. A consent form must be read and understood prior to proceeding. Skin Test: A mandatory test must be carried out during the first consultation and before treating a new area, in order to determine the best laser hair removal parameters. What can I expect during the treatment: Before your laser hair removal treatment, we will ask you to make sure that any long unwanted hair is cut/shaved flush with the skin. Refrain from waxing, tweezing, plucking and threading. Our therapist ensures the patient protects their eyes with special glasses. The patient lies down on an examination table for comfort. The laser head is applied on the area requiring treatment and the laser beam triggered. The light emitted by the laser is absorbed by the melanin and converted into heat. The follicles responsible for the hair growing back are thus destroyed. The length of each session varies according to the size of the area to be treated. Patients agree that the procedure is not unduly painful, and certainly much less uncomfortable than electrolysis. To reduce discomfort, we use a cooling system that removes heat from the surface of your skin before, during and after the laser exposure. You will not need a general anaesthesia or pain medication, but a topical anaesthetic cream may be applied to sensitive areas. Once the treatment is complete, the area exposed to the laser is cleansed and you are free to return to your normal routine. You may experience a slight reddening around the treated hair follicles following the treatment but this will typically disappear within a few minutes. It is always recommended to avoid sun exposure or to use sunscreen following the laser treatment. Hair follicles affected by the laser are lifeless and your body will attempt to cast them off over a period of time. 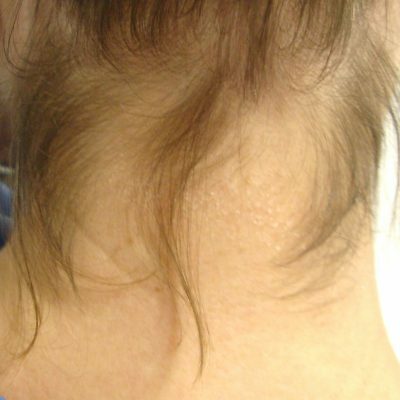 It will seem that the hair continues to grow for one to two weeks after the procedure, however this is not the case and these will fall out. For best results we recommend a course of 4 to 8 laser hair removal treatments. It is best to leave a gap of four weeks minimum between each treatment. The number of treatments you’ll need to obtain the best results will depend on factors such as your hair density, hair colour, skin type, the treatment area and your hair growth cycle. Notably, the density of your hair and its growth cycle are affected by many things such as your age, ethnic background, hormones or medications. At any given time, some of your hair follicles will be dormant rather than in an active growth cycle. As laser treatments can only impair the growth capacity of hair follicles when they are in a growth cycle at the time of treatment, we will usually need to see you for several treatments, with a few weeks in between each one, to ensure that the laser treatment affects as many follicles as possible. At the Chiltern Medical Clinic, we only use lasers that are approved for permanent hair reduction by the United States Federal Drug Administration. This means most patients will achieve long-term, stable reduction in the number of hairs re-growing in the treated areas. The amount of permanent reduction increases with the number of treatments. Occasionally, you may have a few hairs regrow over a period of time. Can you treat Asian, Afro Caribbean or dark skin tones? At the Chiltern Medical Clinics, we have state of the art lasers that have been specifically designed to treat every skin colour. They are safe, affordable, and can achieve the same permanent hair reduction as seen in lighter skin types. Laser hair removal is less effective if you have grey, blonde or white hair. This is because melanin absorption plays a key role in targeting the hair follicle and light hair with little to no melanin will often not respond to laser treatment of any wavelength. This is where Electrolysis plays a part. The aim of hair removal by electrolysis is to destroy the cells which lead to hair growth. A fine needle is introduced into the root of every hair which is then destroyed by heat from a brief electric current. The hair whose bulb was thus eradicated will not grow back. 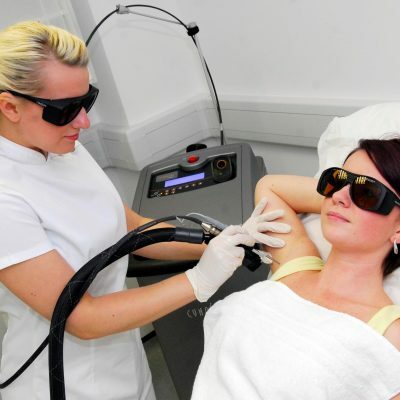 Hair removal by electrolysis can be used in conjunction with laser hair removal. Since only light is used to remove hair, it is totally non-invasive. Your eyes will be shielded during the treatment. While there is a slight chance of skin irritation and pigment changes, these complications are rare due to the type of lasers used at the Chiltern Medical Clinics and the training of our team. Laser technology is simply much more effective, and achieves substantially better results than IPL. 99% of patients have permanent hair loss after 3-6 sessions. Why should I choose the Chiltern Medical Clinic? 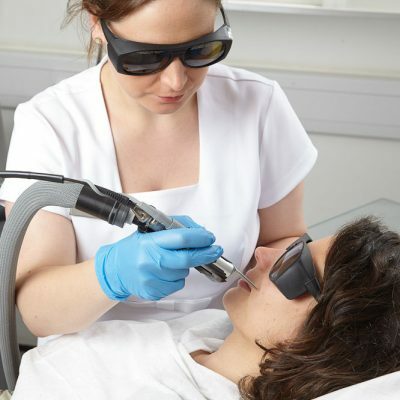 Laser Treatments in the UK are no longer regulated by law, meaning with many clinics there is no one checking the quality and performance of the lasers being used or the training and ability of the individual using the laser. The Chiltern Medical Clinic are proud to be regulated by the Care Quality Commission. Our commitment to patient safety and satisfaction means you’ll only ever be treated by a trained professional. At The Chiltern Medical Clinic we treat Asian / Afro Caribbean and dark skin types. Naturally darker skin has a different distribution of the melanin granules which is why they tolerate treatment more easily than an equally dark tanned skin. Finally our trained therapists are experts in Laser Hair Removal, having performed thousands of treatments to date. We have designed laser hair removal packages with extra discount for PCOS patients. 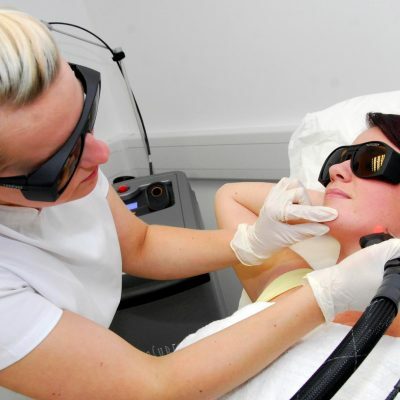 Prices for laser hair removal vary depending on the area to be treated and the number of treatments you need. We are happy to provide pricing guides over the telephone but pricing for treatments tailored to your specific needs will be given at the time of your initial consultation.